The OST Recovery software from MsOutlookHelp is a comprehensive tool that offers the authentic solutions to repair OST files which have been corrupted or damaged. Using this Outlook OST file repair tool, users can restore OST files and save them to several other file formats such as PST, MSG, MBOX, EML and DBX. Repairs corrupt OST file and exports its data successfully to other file formats. Featured with three different modes of recovery i.e. Standard, Advanced and Deep. Recovers the entire mailbox contents such as emails, contacts, calendars, events, journals etc. Date range filter for saving the recovered data in OST file. Enabled with Outlook Encryption for recovery of maximum accurate data. Allows to preview the Outlook OST data file contents. Featured with an option to save the recovered data into multiple file formats such as PST, MSG, MBOX, EML and DBX. Compatible with all the Outlook and Windows version. 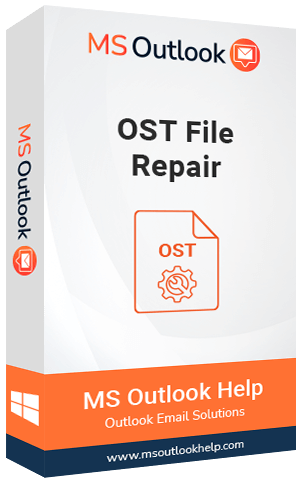 The OST Recovery software successfully restores the corrupted and damaged Outlook OST files after repairing all its mailbox contents like emails, contacts, events, journals, calendars etc. It recovers the maximum possible data from the Outlook Exchange OST files keeping the data integrity in focus. 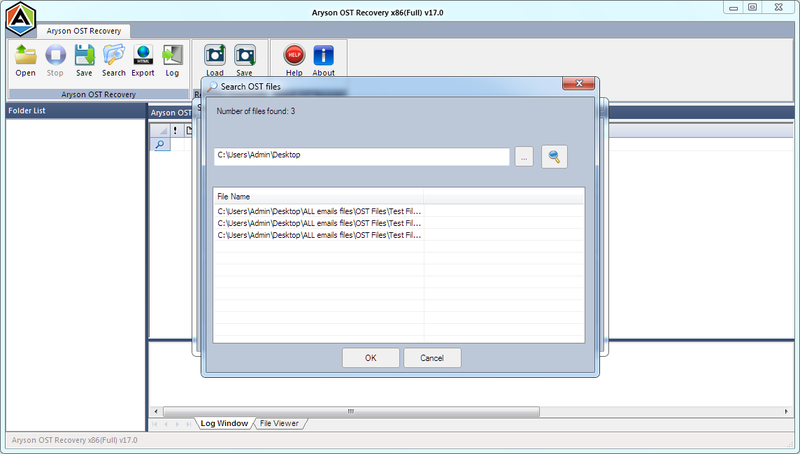 There are three different modes of recovery equipped in the OST recovery tool. These are Standard for minor corruption, Advanced for moderate corruption and Deep for severe level of corruption. Using these levels of recovery modes, there are high chances that you can recover your maximum possible data. This OST recovery utility acts as both recovery and conversion tool. It can convert your OST files to several other file formats such as PST, MSG, MBOX, DBX and EML after successfully recovering the data from them after making a repair process. Encryption is necessary in data files for security purposes. But, sometimes it creates hassles if the file is corrupted. The exchange OST Recovery software supports the recovery of encrypted OST. It successfully repairs the encrypted file and recovers the data from it. OST files are very significant in functioning of Outlook. MsOutlookHelp tool to repair OST file offers a comprehensive solution. Outlook OST file recovery tool is intruded with a feature of Date range saving. It facilitates the users to save the recovered data in a specific date range. It can be done by simply choosing the options given accordingly. A smart preview of the exchange OST file data appears in the form of a tree structure in the left pane. You can check the preview displayed before final saving of the items to PST or some other file formats. The Outlook OST file Repair software is provided with a search feature so that users will be able lo locate the mailbox file in case they do not remember the exact location of the file. This feature will ease the process to repair OST file as users can directly locate a particular mailbox item in OST file. It is featured with an automatic update option with a timely notification via registered email. However, there will not be any requirement for minor updates but updates for major version require registration. OST file repair utility always keeps a vigil eye on the integrity of data. It maintains a folder hierarchy of the email contents and maintains them in a tree structure keeping the original data remains intact. The Outlook OST recovery software comes with a feature that is enabled with an option to recover the non-english characters from an OST file. As a result of which, data from ANSI file format can be recovered. Step 1: Run Outlook OST file repair software on your system. Browse the corrupt OST file for recovery by clicking on Open button in the menu bar. Step 2: The selected file will be shown in the editbox. Choose the recovery mode and press OK to proceed. Step 3: The scanning of OST files is in process. Step 4: In a short span of time, process will be completed. Click OK. Step 5: Preview the items of mailbox folder in a tree structure by simply clicking on it. Step 6: Select the item(s) you wish to recover and click on Save button. Step 7: Now, specify a location for saving the new OST file. Click on OK button. Step 8: Select the given options accordingly and hit a click on OK to continue. Step9 : Saving process is in progress. Step 10: In a couple of seconds, the process will be completed. Click on close to exit the software.
" Corruption in OST files made me stuck as all my data files including emails were contained in it. But, after opting the repair tool for OST offered by MsOutlookHelp, I was able to fix OST files and restored all my emails." "This OST file recovery software was very helpful. It worked as per my need and requirements. Also, the staff in support was quite helpful and supportive. I’ll highly recommend this tool to everyone who are facing similar issues." "I was having large OST files on my system and suddenly some of my files have been deleted by mistake. I tried to recover them manually, but nothing worked. Then, I used this tool by MsOutlookHelp as suggested by one of my friends. It was a good experience. I didn’t expected that it will be recovered so easily." "This OST file repair tool is just awesome. I recovered my corrupt OST files and saved them into PST file format. Also, it provides an option to save recovered files into several other file formats." 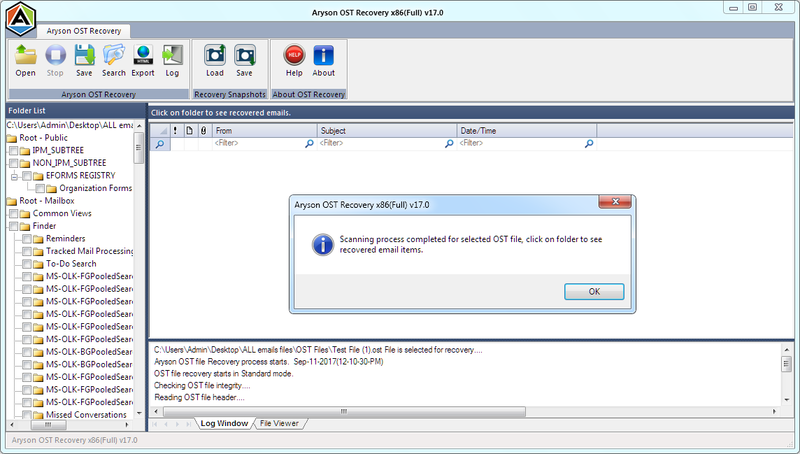 How can I fix OST file using this Outlook OST file recovery software? Launch MsOutlookHelp OST file repair Software. Browse an OST file to repair. Choose a recovery mode out of three : Standard, Advanced & Deep as per the levels of corruption for recovery of corrupted or unreadable OST files. Preview the recovered items before saving. Hit a click on Save menu to save the recovered Outlook OST file into desired file format. Is the software helpful to restore deleted items from OST file? Yes, the Exchange OST recovery tool is helpful in restoring the deleted files or items that have been accidentally deleted. Is it necessary to purchase the licensed version of the Outlook OST repair software? Yes, it is mandatory to have a licensed version of Outlook OST recovery tool to save the recovered mailbox data in various file formats. Demo version will allow you to only recover the data but you can’t save that. If I forget the path of OST file, how can I search that file? You can take the help of Auto search feature provided in this OST recovery utility. 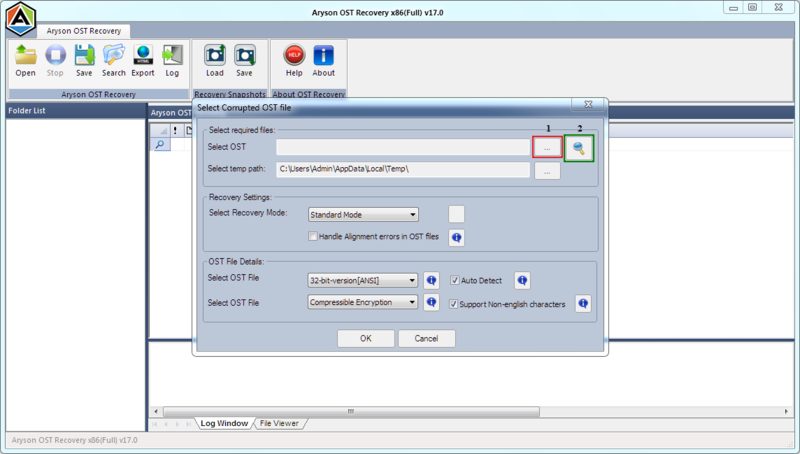 Does this OST repair tool provides option to save the output file in multiple file formats? Yes, you can easily repair OST file Outlook 2013 and restore it to several file formats such as PST, MSG, MBOX, EML and DBX. Does the software restores encrypted OST file? Yes, the OST recovery tool repairs the encrypted OST files in Outlook 2016 and allows the users to save these files in a desired file format. Does this OST fix software supports the repair of OST files of Outlook 2016? Yes, this software tool supports OST files of Outlook 2010, 2013 and 2016 and other versions. Is there any change in the data recovered? No, the software do not imposes any alterations in the data. It keeps a vigil eye on data integrity and keeps the original data remains intact. Outlook version: MS Outlook 2016,2013,2010,2007,2003,2002,2000,98,97. Minimum 512MB RAM is required. 20 MB space in Hard disk for software installation.